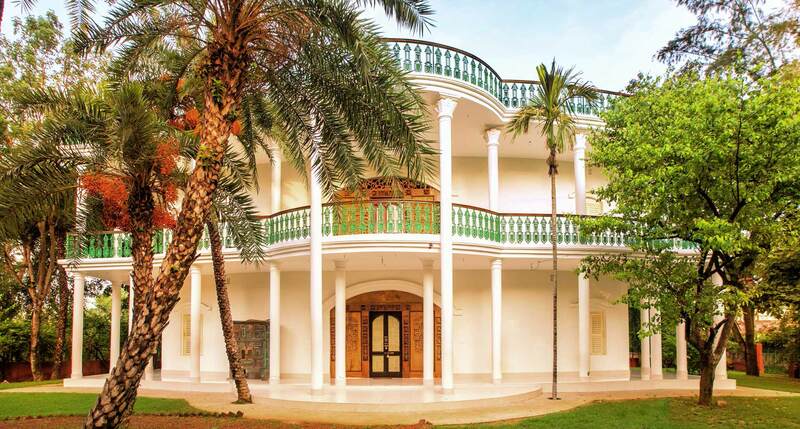 Designed like the 19th century Bengal’s Zamindari Bungalows which were traditionally referred to as “Thakur Baris” or “Raj Baris” in Bengali, the Garden Bungalow rests amidst the expanse of a 3- acres garden that is ordained by exotic trees, creepers and shrubs. 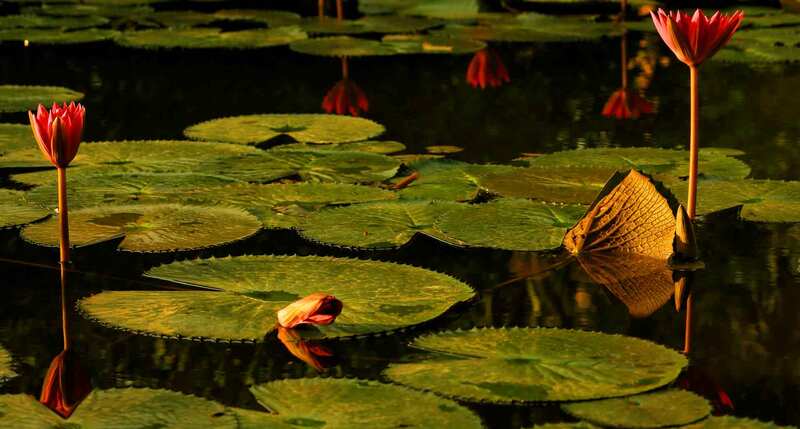 The Bungalow is further embellished by lotus ponds which serve as its back- side, evoking the sense of nostalgia and tranquility associated with rural Bengal as often depicted in Tagore’s works. 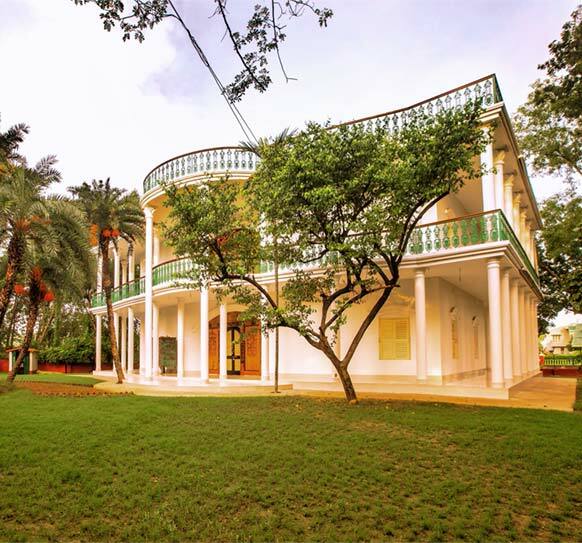 Surrounded by the sprawling garden and the ponds, this four- suit Bungalow is just a few meters away from the ravines, popularly known as Khowai, of Shantiniketan. 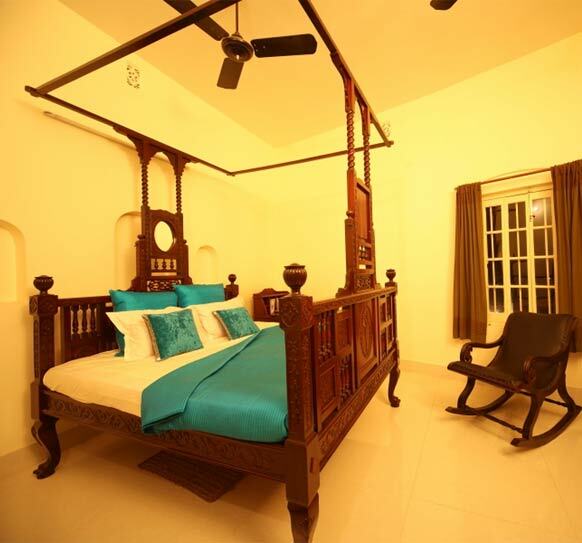 The interiors of the Garden Bungalow are tastefully furnished with antiques, collected over time from all across Bengal, each telling of its own unique history. All the suits open up to bright verandah and terrace which are perfect for the one looking for a travel inwards, within one’s own self. 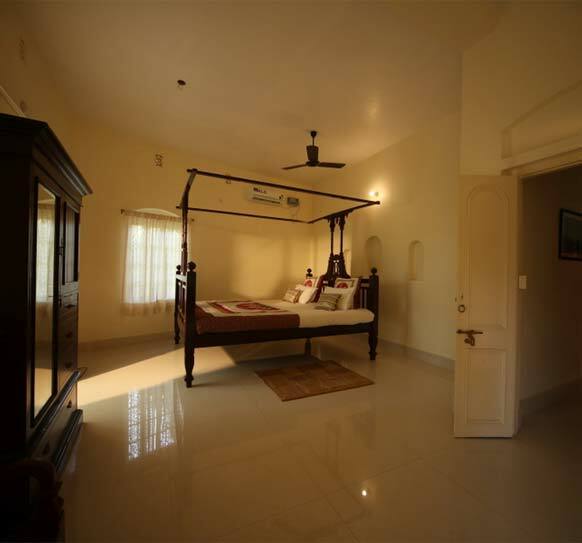 The Garden Bungalow with its elating ambiance brings to the guests a journey where they can discover themselves and attain meaningful experiences and inner peace. 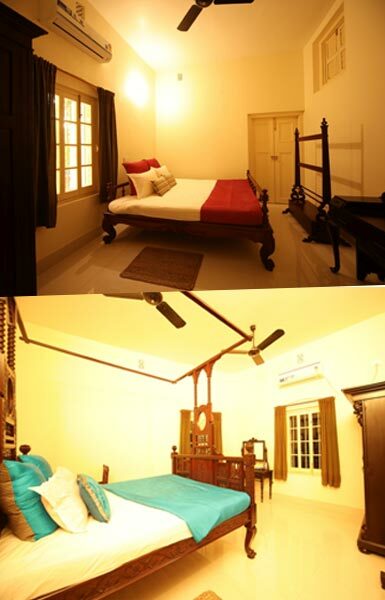 Our endeavour at the Garden Bungalow is to provide our guests with an experience of the rich architectural heritage wrapped in natural tranquillity and simplicity that the colonial rural Bengal proudly boasted of. 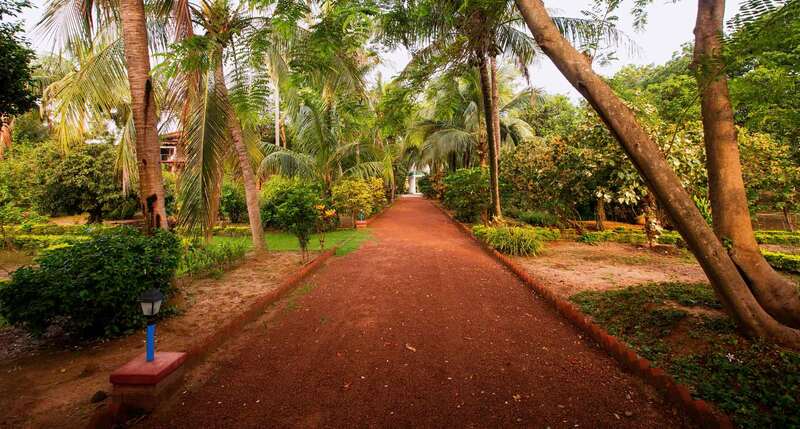 The Garden Bungalow is an excellent get- away from the congested hub of cities and towns and is a serene entry into nature’s lap, where call of birds and rustling of trees in the fragrant breeze are the only sounds to be heard in the peaceful ambiance of Shantiniketan. 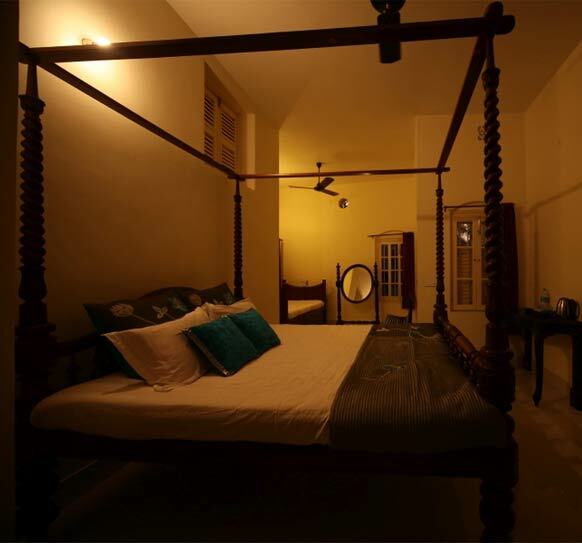 So, If you are looking for the Best Hotel in Santiniketan, then, The Garden Bungalow is the right destination where you will get the best options to spend quality time. 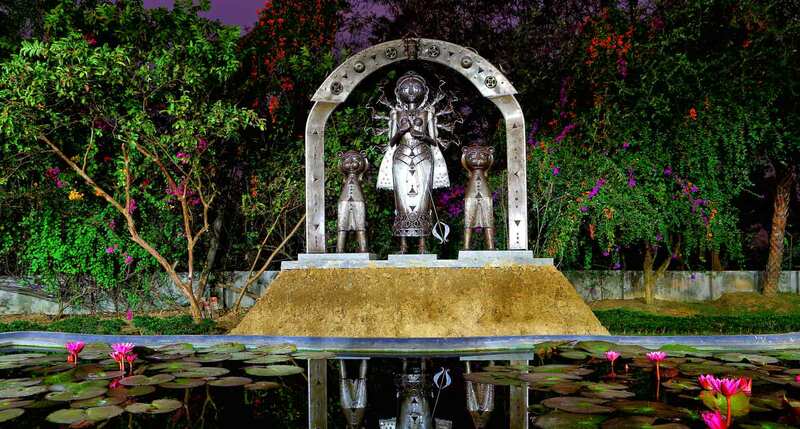 The Garden Bungalow, together with a Mud- House and several installations standing in the lush green garden is a soothing blend of the efforts of a sculptor, a painter and a gardening enthusiast, all three vastly varying in their thoughts surrounding the ideal essence of Shantiniketan and about Tagore’s legacy. 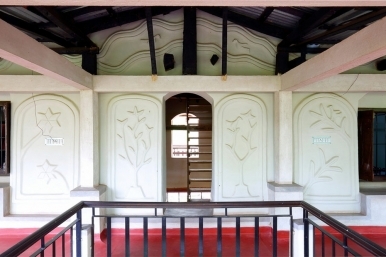 The Garden Bungalow, together with a Mud- House and several installations standing in the lush green garden is a soothing blend of the efforts of a sculptor, a painter and a gardening enthusiast, all three vastly varying in their thoughts surrounding the ideal essence of Shantiniketan and about Tagore’s legacy. Relentless designing and re- designing of each aspect of the architecture and landscape as well as lengthened debates, discussions and arguments over ten years have gone into shaping the Garden Bungalow as it proudly stands today. 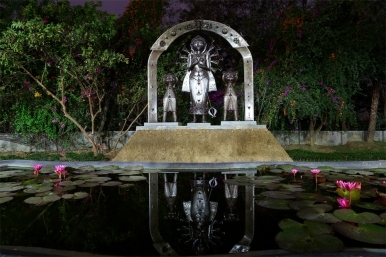 The Garden Bungalow can be seen as an installation art, imagined and created by the trio. 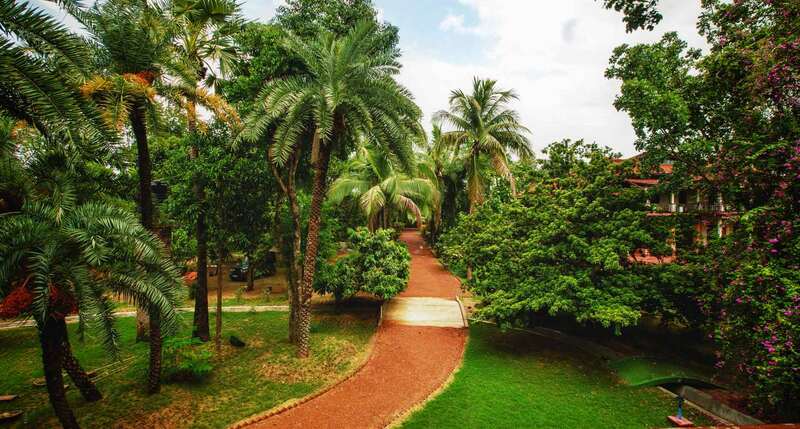 An abode of a range of deciduous trees, shrubs and creepers, the exotica of The Garden attracts several migratory birds throughout the year, turning the space into the bird- watchers’ Paradise. 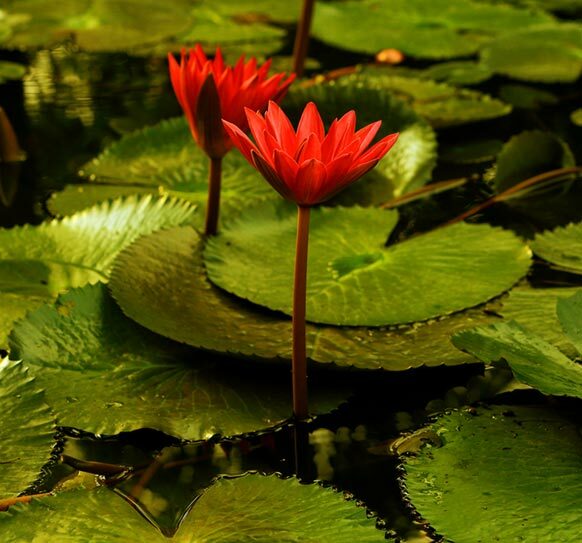 Two ponds, lying side- by- side, amply decorated with bright pink lotuses and their dark green leaves, bless the Garden Bungalow that heartily hosts the migratory birds who cross continents and oceans in winters, and perch along the water bodies. The ponds, at/ during this time of the year, are a mystical treat to the eyes of an onlooker. 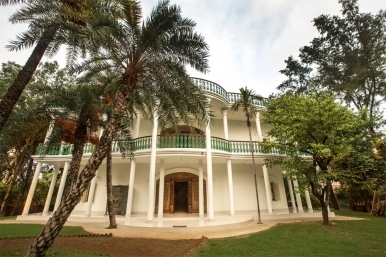 Nestled in the niche of the Garden Bungalow, The Poet's Recluse provides our poets with a fulfilling view of the lush green lawns that are graced by deciduous trees that provide both pleasure and privacy of a canopy. Located closest to the Lotus Ponds, with only a wall covered with lush green creepers in between, The Poet's Recluse fills the senses with fragrant breeze felt right across the pond as the breeze reaches the poet, passing through the flowering trees. 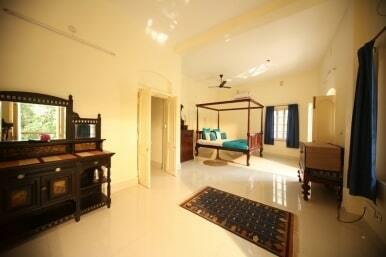 It allows a creative mind to explore its deeper emotional realm in the perfect ambience and comfort. Designed like a very well ventilated Gallery, the Painter's Retreat provides our Painters with a beautiful vignette of colours and scenery to behold. The very first step into the balcony evokes an overwhelming sense of nature's bounty- the coral blue water of the Lotus Ponds look amply splashed with bright pink and various shades of green and the lush green leaves of the trees are laden with orange, yellow and red flowers. Here, life is King size! 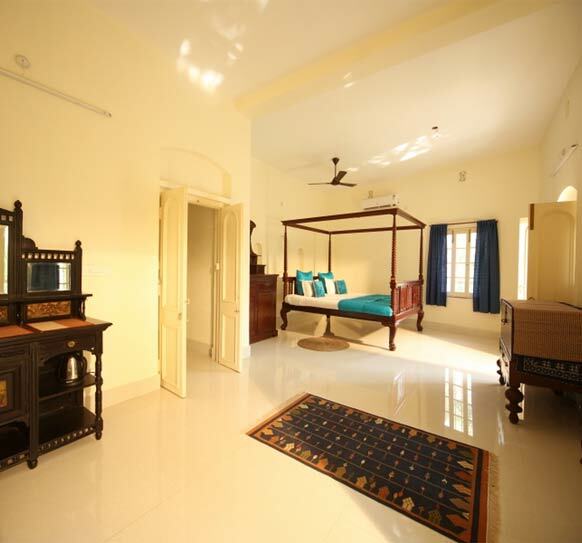 Located in the largest section of the Garden Bungalow, ornamented with the most luxurious furnishings, The King's Chamber commands regality. With its uninterrupted ventilation and its commanding view of The Garden, The King's Chamber serves our Kings with the regality that they duly deserve. 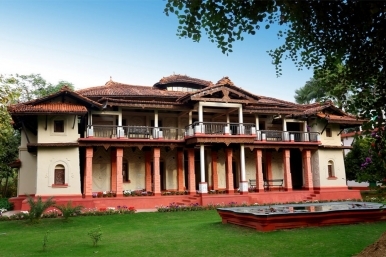 Aptly named after the Raag Bahaar of Hindustani Classical genre, The Bahaar Hall is a muse for musical intellects. The most ventilated section in The Garden Bungalow is infused with sound, view and fragrance of the rustling and whistling of trees. 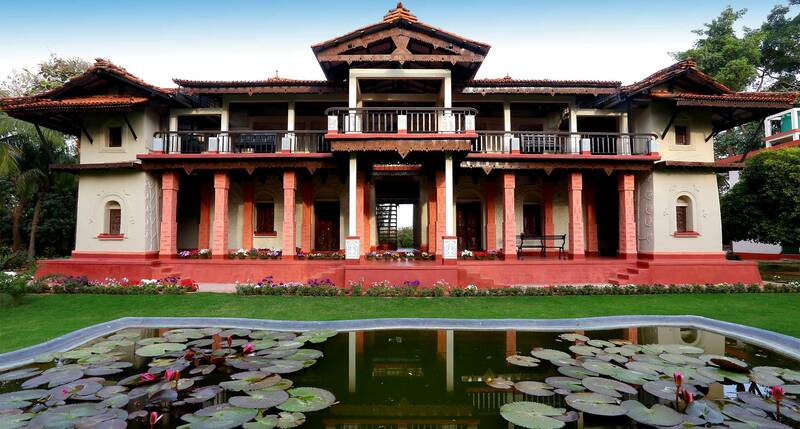 In the romantic breeze, the Bahaar hall is a perfect musical hermitage, where every season is Bahaar.